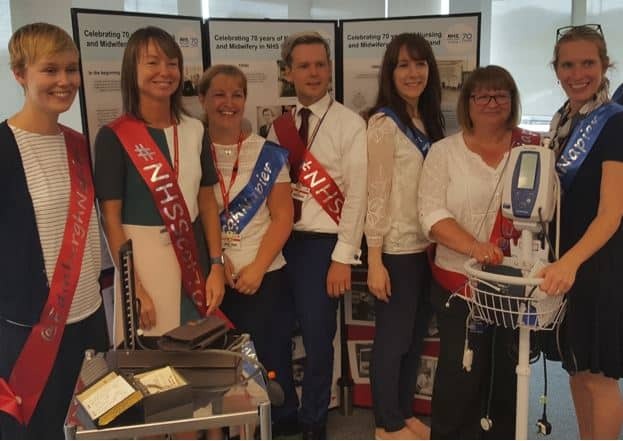 A public exhibition and NHS Big Tea party took place at Edinburgh Napier University on Thursday 5th July 2018 to celebrate the 70th anniversary of the National Health Service. 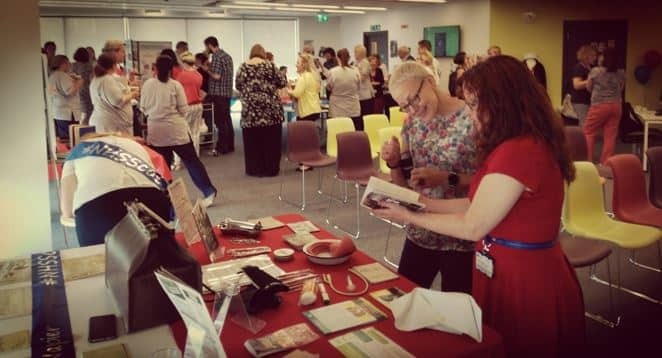 The free exhibit helped raise awareness of the history and evolution of nursing and midwifery education, research and practice. It also emphasised the important role nurses and midwives have played from the inception of the NHS in 1948 to present day. A series of posters with historical photographs and fun facts were displayed and a pop quiz was integrated into the exhibit to encourage public participation. This was won by a 2nd year adult nursing student who came away with a £70 Blackwell’s gift voucher. 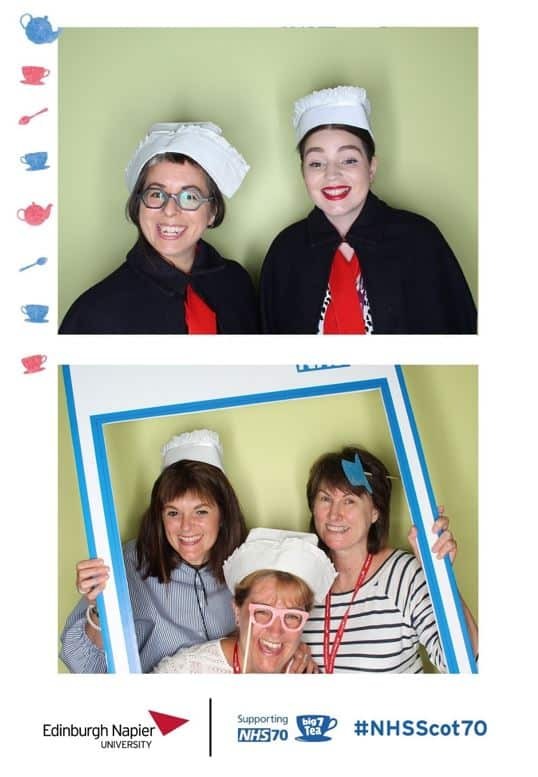 A selfie-booth was also set up where people could put on old nursing uniforms and use props to take and print fun photos. This proved a very popular hit with hundreds of snaps produced over the course of the day! 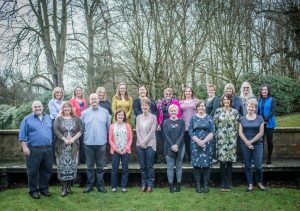 Given the event was such a success the organising team have decided to take it on tour, so keep an eye out for it at a local hospital or health centre near you. If you do see it, don’t forget to share it on social media by using the hashtag #NHS70 and #NHSScot70 @EdinburghNapier to continue celebrating 70 years of nursing and midwifery in NHS Scotland.